In the past couple of months, the overarching theme in the power sector has been state electricity board (SEB) reforms. The recent report of the Shunglu panel recommended a somewhat radical solution to create a special purpose vehicle to take over the shaky loans of state electricity boards. State governments are making the right noises on structurally reforming the distribution sector and cleaning up state electricity boards by computerizing accounts and allowing annual tariff revisions etc. And a record 14 states increased electricity charges this year. But these touch the surface of the problem and implementation is a long and arduous journey. In the meantime, the power sector will continue to suffer as usual—at least for the next six months or so. One reason for the low plant load factors, or capacity utilization, among power generators is because state electricity boards are lifting much lower output, which, in turn, creates problems of cash flow and debt servicing. 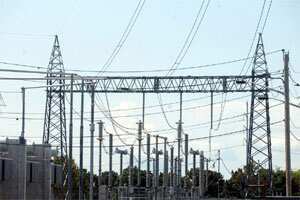 Increasing exposure to the power sector has made financiers wary of lending to this sector. There is a shortage of coal to fire thermal power plants. Hydro projects are being held up in execution by land and environmental problems. As a result, companies are putting off expansion in the sector, the latest being Adani Power Ltd which is deferring plans to build a 6,500megawatts power plant. Capacity addition, so far, this financial year has been three-fourth of the targeted 14,000MW. Sure, there are some silver linings. Plant load factors have improved over the last couple of months. Capacity utilization in November was 74.45%, well over the 61.14% achieved in September for thermal power plants. As a result, generation has increased 9% from a year ago, but these plant load factors are still lower than a year ago, indicating a slowdown in the sector. While coal minister Sriprakash Jaiswal has guaranteed that no power plant will be shut down because of a lack of fuel, Central Electricity Authority figures indicated that 48 power plants had less than seven days of coal supply at the end of November. This was well over the 31 power plants reporting a critically low fuel-supply position at the end of September. Thus, the outlook will remain dark for some more time.